If Prompt warns you of use of the asterisk, or 'star' (*), in SELECT statements, consider replacing it with an explicit column list. It will prevent unnecessary network load and query performance problems, and avoid problems if the column order changes, when inserting into a table. This is an update of an article first published in June 2018. The first thing I ought to say about SELECT * is that we all use it. I use it every day for development work but hopefully it seldom escapes into production unless there is a good reason for it. Outside of development, SELECT * has only a few valid uses within a batch. Using SELECT * FROM within IF EXISTS statements is fine, as are SELECT COUNT(*), SELECT * FROM…FOR XML or SELECT * FROM…FOR JSON. Elsewhere, a query using an asterisk as a column specifier will work fine for a while but can introduce vulnerabilities and performance problems. If you assume the column order is ‘set in stone’, by transferring data using INSERT INTO…SELECT * FROM statements, then when that order changes your best hope is that it is causes errors, but at worst you’ll see the dire consequences of assigning the wrong data to a column. Also, queries that select all the columns in a table, even when the application doesn’t need them all, can cause unnecessary network load and query performance problems. It also makes queries very hard to index, leading to inefficient execution plans. Finally, SELECT * will also make your code less readable, and harder to maintain. All of this explains why SQL Prompt implements a ‘best practice’ code analysis rule (BP005), which will prompt you to replace the asterisk(*) with an explicit list of columns, in SELECT statements. SELECT * is ideal for ad-hoc work, seeing exactly what is in a result at the point of starting to refine a query, or for debugging, but it is a development device that was intended for interactive use. Without SELECT *, development work in SQL Server would be more painful, because there is no quicker way of finding out about the data and metadata that is being returned from a table source, meaning anything that can go into a FROM clause. 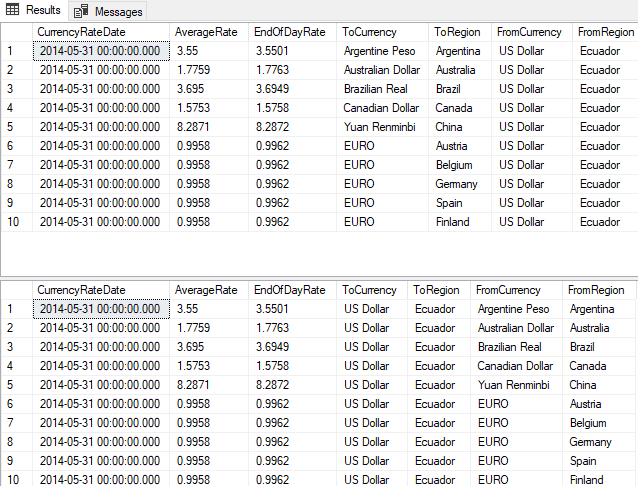 This will include base tables, views, TABLESAMPLE, derived tables, joined tables and table functions. In short, SELECT * is still indispensable for eye-balling the data. Sure, sp_help will give you information about tables and other objects, and you have SSMSs browser and, hopefully, SQL Prompt, but nothing beats seeing that SSMS data grid when you’re investigating the result of a query, table-valued function or procedure. Why is SELECT * bad in production code? Indigestion: There is a cost for every column of data you request, within both the database and the application. When you want a glass of water, you don’t turn on every tap in the house. When, in an application, you specify all the columns rather than just the columns you need, you will initially know, and maybe accept, the extent of the wastage. If someone subsequently extends the width of the table with more columns you get a whole lot more columns that aren’t needed, and your application will slow down with the increased memory management task. Torpidity. A query that retrieves information will probably use an index, especially if your query uses a filter. SQL Server’s query optimizer will want to get the data from the covering index, if possible, rather than having to rummage around in the clustered index. If you use SELECT *, then the chances are high that no index won’t be covering. Even if you were wacky enough to cover the entire table with a non-clustered index, this will be rendered entirely useless if the table gets increased still further in size. Misinterpretation: If you reference the columns by order rather than name, using INSERT INTO…SELECT *, then you must hope the column order never changes. If it does, and it is possible to coerce the values into the datatype you are anticipating, then data can end up in the wrong columns without triggering an error. Binding Problems. When you SELECT…INTO with a query that has been sprinkled with the asterisk fairy-dust, you can easily hit the problem of a duplicate name for a column. If you specify the columns, you will know up-front of duplicates and can alias them. If, instead, you pass such a query to an application, it has no easy way of knowing which column is the one with the correct value. Maintainability: Anyone reading your code, and seeing SELECT *, will have to search the metadata to fine the names of the columns being referenced by the query. If you list them, and they are meaningful names, it will be clearer what is going on and the purpose of the query will be more obvious. In applications, the worst habit I’ve seen is probably that of specifying data that isn’t needed. There is a misapprehension amongst some developers that databases are slow, but every query takes around the same amount of time. By this false logic, it makes sense to grab all you can in the one query and SELECT * means just that: ‘give me all you’ve got’. It is like a sales shopper who has had to queue and grabs more bargains off the shelf than they could possibly need or afford. Ironically, a lot of the apparent slowness in queries turns out not to be “the database being slow” but the local memory management crumbling under the weight of unnecessary data being pulled across the network and having to be squirreled away in large objects. If you want to load data into an object from a database, it is usually better to use lazy loading, especially if the object is large. Passing data across a network is surprisingly expensive in terms of the time taken, and so it is much better to request just what you immediately need in a query. Several fast queries are faster than a single vast super-query. Even within SQL Server, though, SELECT * will bite you. It cuts across the general principle that, for performance reasons, you reduce the result as soon as possible when you are filtering and projecting data. This means that you cut down both the columns and rows to what is needed first, before you do the fancy stuff such as aggregation. The use of SELECT * in derived tables within a query is now less harmful to performance than it was because the optimizer can now generally restrict the columns to what is necessary, but it is still wrong, especially in the outer query. Results should always consist of just the columns you need. To demonstrate the impact, here I create in a timing harness two temporary tables, by using SELECT…INTO with a temporary table, and fill them with two million rows of data from a Directory table. In one I specify just the columns I need, and in the other one I shrug and just type * instead. The version where we specified the columns took only 20% of the time of the other one, even though we only reduced the amount of data by 30%. Putting it slightly differently, for this test, using a wildcard SELECT…INTO takes five times longer than a SELECT…INTO that returns only the required columns. It is almost impossible to provide a covering index for SELECT * queries, and even if you were to try, it would be far harder than if your queries simply spelled out the required columns, explicitly. If you are just retrieving information, SQL Server will generally use an index. For your frequent, important and expensive queries, you probably want it to have an index available from which it can retrieve all the columns requested by the query. If it doesn’t have one, it may get the available columns from the index and then lookup the other column values in the clustered index, or it may simply resort to scanning the clustered index. If the tables are big and the queries return many rows, you’ll start to notice a performance hit. However, no sensible indexing strategy can help much if the queries are SELECT *. The second version would only be covered by an index that included every column! Using the same test harness as before, you’ll see that even though most of the work was searching for the word ‘arms’ within the name of all the businesses in Cambridge, it was faster to specify the columns. In the first case, the index is a covering index for this query, whereas with the SELECT * version, it is not. The execution plan still uses it, since the query returns only 19 rows in this case, but SQL Server must perform additional key lookups for each row, to return the column values that aren’t included in this index. With more general queries on this database, the queries specifying the columns ran, on average, in two thirds of the time of those that used the same index but required additional key lookups. I’ll demonstrate just how dangerous this can be, if you use it in production code and then need to do some database refactoring. Here, we will make a mistake in copying sensitive information. It is frighteningly easy to do and could cause financial irregularities without any errors being triggered. If you are of a nervous disposition, please look away now. --check that the data is the same. It isn't is it? No sir! Here are the ‘before’ and ‘after’ results…. As you can see, we have ‘unintentionally’ corrupted the data by switching the ‘to’ and ‘from’ columns. Quoting the column list is extra bulk in your code. However, it performs as quickly, or even quicker than if you just airily specified all the columns with an asterisk, assuming that they remain in a particular order. This will cause problems to an application trying to make sense of such a result when selecting a named column. If you try to create a temporary table from the result, using SELECT…INTO, it goes bang. Column names in each table must be unique. Column name 'BusinessEntityID' in table 'MyTempTable' is specified more than once. There is one place where SELECT * has a special meaning and can’t be replaced. This is when converting a result into JSON and you want a result that has the joined tables embedded as objects. "DepartmentID": 16, "Name": "Executive","GroupName": "Executive General and Administration","ModifiedDate": "2008-04-30T00:00:00"
JobTitle="Chief Executive Officer" BirthDate="1969-01-29" MaritalStatus="S" Gender="M" HireDate="2009-01-14" SalariedFlag="1" VacationHours="99"
<person BusinessEntityID="1" PersonType="EM" NameStyle="0" FirstName="Ken" MiddleName="J" LastName="Sánchez" EmailPromotion="0"
When laying out code, the columns you specify not only avoid mistakes in assigning values to the correct columns or variables, but they also make the code more readable. Wherever you can, it is worth spelling out the name of the columns involved just for the sake of you-in-the-future, or the poor soul who is one day tasked with maintaining your code. Sure, the code looks a bit bulkier but if a fairy appeared at your shoulder and said that your code would be more intelligible and reliable if you typed it out twice, you’d do that wouldn’t you? Sometimes you’ll see long-running queries that request all columns and that originate from an application, often one that uses LINQ. Usually, it isn’t deliberate, but the developer has made a mistake, leaving out the specification of the columns, and an innocent-looking LINQ query translates into a SELECT *, or a column list that includes every column. If the WHERE clause is too general, or is even left out altogether, then this compounds the consequences, because the network is always the slowest component, and all that unnecessary data is being heaved across the network. …will deliver every column from every row in the entire table. A general code smell is to ask for more data than you need. It is almost always better, and quicker, to allow the source of the data to do the filtering for you. The use of SELECT *, which is perfectly legitimate in some circumstances, is often a sign of this more general problem. It is tempting for a developer who is competent in C# or VB, but not SQL, to download a whole row, or even an entire table, and do the filtering in more familiar territory. The extra network load and latency should, by itself, be enough to deter such a practice, but this is often mistaken for a ‘slow database’. A long column list, often listing all columns, is almost as pernicious as a SELECT *, though SELECT * has the extra risk when there is any refactoring. Avoid using the IsNumeric() function, because it can often lead to data type conversion errors, when importing data. On SQL Server 2012 or later, use the Try_Convert() or Try_Cast() function instead. On earlier SQL Server versions, the only way to avoid it is by using LIKE expressions. With SQL Prompt and Phil Factor's chk code snippet, you can, with a few clicks, get a list of all the SQL statements executed within a batch, in SSMS, their execution plans, and their execution statistics, such as duration, CPU, logical reads and so on. Judging by recent articles, this is not the same “Phil Factor” whose articles I have long enjoyed. I confess that I have not read this particular article – the “smells” headline turned me off before I even got started. If, in fact, this is not the same actual author, I would suggest using a different byline just for “truth in advertising” sake. Thank you. I’m very pleased that you have ‘long enjoyed’ my articles. I hastily looked in the mirror when I read this, but I can confirm that it is indeed still me. The ‘SQL Code Smells’ byline is to indicate that this is intended to amplify the code smells in my booklet ‘SQL Code Smells’, published in Simple Talk. I would like to explain in more detail why certain patterns in SQL tend to raise eyebrows amongst experienced developers. This seems to be the best place to do it because SQL Prompt is using what I write to explain in its documentation why it underlines certain code in SSMS. I’m sorry if it seems different to what I’ve written in the past, but it is still me, being edited by the same person who has been patient enough to do so in the past. Terrific! I will continue to look forward to new articles and do appreciate the body of work you have produced to this point. Your articles are real bright points in the tech lit. Thank you!